What is the y-intercept ? Definition and Examples. 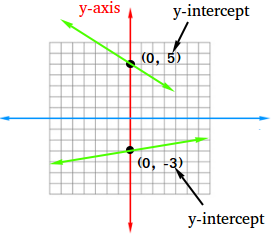 The y-intercept is the y-coordinate of a point where a line intersects with the y-axis. For the point (0, 5), 5 is the y-intercept. 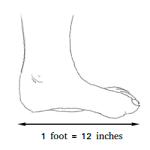 For the point (0, -3), -3 is the y-intercept. Notice that the y-intercept is always located on the y-axis. 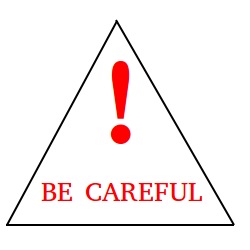 Notice also that the x-coordinate is always equal to zero when a point is located on the y-axis. The y-intercept is not technically the point of intersection between the line and the y-axis. It is the y-value or y-coordinate of that point of intersection.